The commercial roofing for your building assists in keeping not only the heat but the cold as well. It also helps protect your business against the weather and outdoor elements. The roofing system will work tirelessly at defending your building against leaks and the infiltration of moisture. While there is of course many different types of commercial roofing systems to choose from, some roofs do not prove as long-lasting as promised, and may need to be repaired or replaced within a few short years. Many times, the method used for the roofing attachment will ensure the longevity of the roofing system. One of the most popular attachment methods used is the mechanical attachment with heat welded seams. Below we will go over a few of the ways that heat welded seams will help keep your commercial roofing system strong and rock solid for many years to come. For assistance with your Commercial Roofing in Dallas, TX give Longhorn Commercial Roofing a call today to speak with one of our team about your needs and questions. Waterproofing – The infiltration of moisture is one of the most serious problems that faces buildings today. If rain is allowed to enter within the building, it will wrought structural damage and assist in the proliferation of mildew and / or black mold. This is why it is critical that a roofing system completely keeps water out of the building entirely. Heat welding is just one solution that will help provide your commercial building with a dependable roofing system. The heat welding process can produce results that are up to six times stronger than most adhesives. With heat welding, the roof’s seams will be much more stronger and durable than the roofing membrane surrounding them. Durability – Heat welded seams do not experience significant deterioration over time. The new or upgraded roofing system will be able to effectively resist the effects of the cold, heat, rain, severe weather and even the UV rays from the sun. This level of resistance will help ensure that the durability and longevity of the roofing system helps protect your building for the years to come. Energy Efficiency – Single-play roofing membranes such as PVC and TPO that makes use of heat-welded seams are known for their energy star ratings due to the UV reflectivity. Additionally, the nearly impermeable nature of heat welded seams will assist in preventing water from entering the building. Coupled with long-term durability this makes a heat welded seam commercial roof a wise and cost-effective solution for your building. 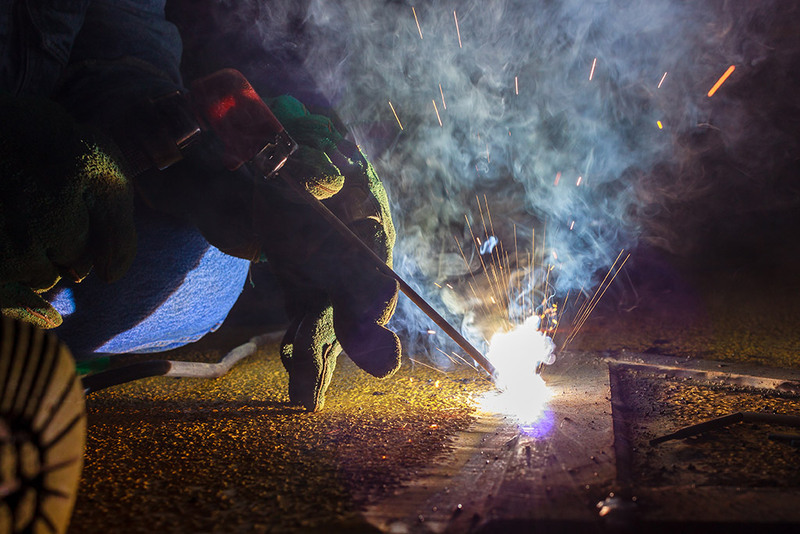 Simple Repairs – Heat welding seams work also for repairs just as it does with installation. With heat welding, the roof will be incredibly resistant even to high wind speeds and severe weather. However, damage does sometime occur. Heat welding will be able to provide a simple, effective and inexpensive solution for these problems. Your commercial buildings roofing system plays a vital role in keeping your buildings integrity and ability to resist the elements at bay. Heat welded seams can prove to be an important tool in providing you with a safe and secure building that is not only dry but also efficient. If you are interested in learning more about heat welded roof applications or if you have any questions then do not hesitate to get in touch with Longhorn Commercial Roofing today and we will be more than happy to assist you with all of your questions and / or concerns. For all of your Commercial Roofing in Dallas, TX needs you can count on the experts at Longhorn Commercial Roofing to provide you with professional and superior results time after time. For many years Longhorn Commercial Roofing has been leading the pack as a top commercial roofing and general commercial contractor company. With impeccable customer service, competitive pricing, superior results and professionalism that is hard pressed to beat, Longhorn Commercial Roofing has been assisting clients across the nation with their construction needs. If you are looking for commercial roofing in Dallas, TX then do not hesitate to give us a call. From the very first day of our inception, we made a rock solid commitment to focus on three primary objectives; superior customer service, competitive pricing and an ethical approach to business practices. With decades of experience under our belt, and projects that span more than 2.7 billion square feet of roofing, your satisfaction is guaranteed. Longhorn Commercial Roofing also offers one of the best warranties in the industry; 20 year renewable warranties for roofs that we install. You can rest assured knowing that when you choose Longhorn Commercial Roofing for commercial roofing in Dallas, TX that you are in very capable and professional hands. Longhorn Commercial Roofing looks forward to serving our clients with impeccable customer service while being able to promote an ECO-friendly, long lasting, energy efficient construction solution for your needs with commercial roofing in Dallas, TX and other general commercial contractual needs. At Longhorn Commercial Roofing our goal at building a better world for not only our clients and their customers but for future generations to come through foresight, innovation and most of all uncompromised integrity is but just a call away. If you are looking for commercial roofing in Dallas, TX or any other related needs then do not hesitate to give us a call today to speak with one of our professional representatives who will answer your questions.